As we are patiently waiting for May 21 to come so we can get a clear view of the Honor 20 series which will probably be the Honor 20 and Honor 20 Pro. The Honor 20 Lite is on its way. Since the phone is the affordable model of the Honor 20, it might have a close launch date before it’s a sibling. A fresh leak has confirmed that the Honor 20 Lite will be announced in China anytime from now. The Leaks also confirmed the pricing and some of the specifications. The Honor 20 Lite will be available in Germany at a price of 279 euros which roughly convert to $315. The smartphone may come with a cheaper price outside the country. The same device will also be announced today in China but with a different moniker. It will be called Honor 20i. 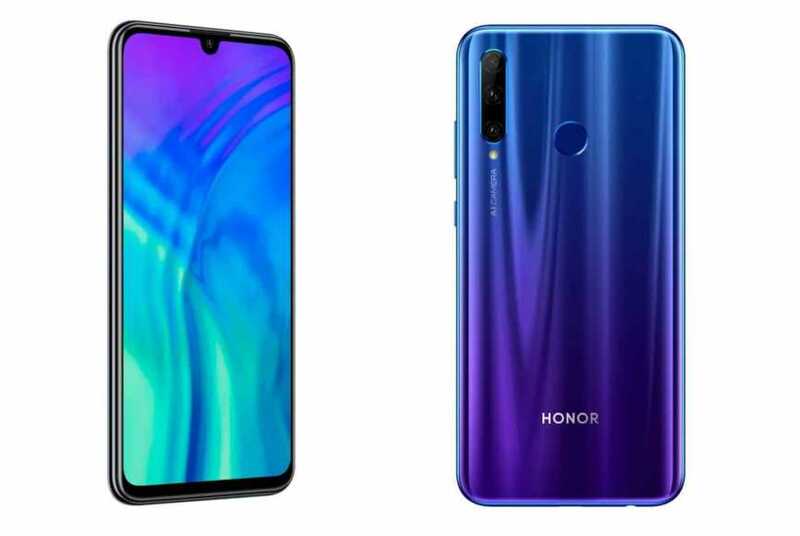 The Honor 20 Lite features a large screen size of 6.21-inch IPS LCD display with a waterdrop notch. The phone makes use of full HD+ resolution to deliver clear visuals. It will feature f/2.0 aperture 32-megapixel front-facing snapper. Under the hood is a Kirin 710 SoC which will be powering the phone with the help of 4GB RAM and inbuilt storage of 128GB. On the back, the phone will features triple rear cameras of 24-megapixel + 8-megapixel + 2-megapixel. It will be powered by EMUI 9 based Android 9 Pie operating system. It has a rear-mounted fingerprint sensor with a slot for micro SD card as well. The battery on the inside is 3,400mAh. Today in China, the Honor 20i will be available in multiple variants that includes 6 GB RAM + 64 GB storage, 4 GB RAM + 128 GB storage and lastly 6 GB RAM + 256 GB storage. It’s expected to hit the market today and anyone can grab it at any offline store across the country. The rumors gathered so far revealed that the Honor 20i will be coming with a screen size of 6.41-inch OLED display with an on-screen fingerprint reader. It will have a triple rear cameras set-up as well that will consist of 48-megapixel primary lens, a 20-megapixel secondary sensor, and an 8-megapixel lens. There will be an impressive front camera of 32-megapixel for selfies and video calling. The battery could be 3,650mAh with fast charging technology and it will be powered by Kirin 980 SoC.